I hope you enjoyed Part 1 of my Passover booklet last week! This week, we look at how Jesus fulfills the elements of the Passover and start planning our celebration. Lamb is the centerpiece of the Passover, both in ancient days and now. In Exodus 12, God told us the specifications for the Passover lamb. First, the lamb must be from the sheep or the goats, a year-old male, and without blemish (Exodus 12:5). On the tenth day of the month, the Israelites picked out the lamb and brought it into their homes. After four days of the kids fighting over whose turn it was to play with the lamb, daddy was supposed to take the lamb outside and slit its throat. “Oh, that poor lamb,” we might be tempted to say, but we must remember that God gave His people a choice- a lamb or a man. 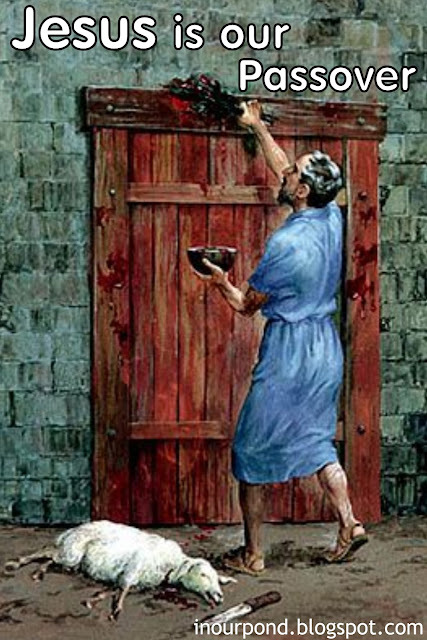 The blood of the lamb was painted onto the door frames of their house (Exodus 12:7). Then, the woman of the house roasted the meat, made unleavened bread, and prepared the bitter herbs. The feast was to be eaten with the family fully dressed and ready to travel. “For I will pass through the land of Egypt that night,” God told them, “and I will strike all the firstborn of the land of Egypt, both man and beast; and on all the gods of Egypt I will execute judgment: I am the Lord. The blood will be a sign for you, on the houses where you are. And, when I see the blood, I will pass over you, and no plague will befall you to destroy you, when I strike the land of Egypt (Ex. 12:12-13).” God also told them to remember that night with an annual feast- what is now called Passover and the Feast of Unleavened Bread. Himself for us as the Passover Lamb. The New Testament writers recognize Jesus as the Passover Lamb, also. In a teaching to his church in Corinth, Paul says our Passover Lamb has been sacrificed, and that fact should influence our behavior (1 Corinthians 5:6). Peter also tells us that Jesus was chosen before the foundations of the world to be our lamb without blemish or spot, a ransom more valuable than silver or gold (1 Peter 1:18-20). The most references to Jesus as the Lamb are found in the book of Revelation. Chapter 5 says of Jesus, “Worthy are You, for You were slain, and by Your blood You ransomed people for God from every tribe and language...(5:9).” All over the book, the Lamb is worshiped by every living thing: angels, elders, humans, animals, and every creature in heaven, on earth, under the earth, and in the sea. Jesus is the Lamb of God who was sacrificed for us and lives again, and will soon receive the worship of all. Amazing. 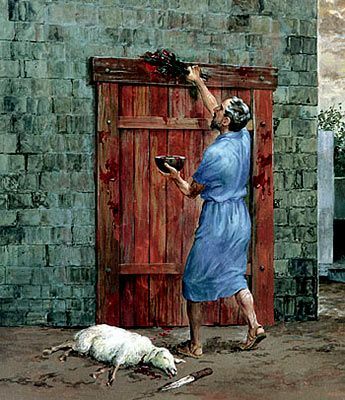 It is now tradition for Jewish families to not have lamb on Passover, since their temple was destroyed in AD 70. Instead, a roasted shank bone sits on the Seder (SAY-der) plate to remind us of the lambs who were sacrificed. Messianic families can choose whether or not they want to have lamb as part of their Passover. Jesus isn't just represented during Passover as the lamb- He is also the bread. God tells the Jews in Exodus to eat their lamb with unleavened bread. It must be made with flour and water, without yeast or any other kind of leavening. In the Bible, yeast is a symbol of sin, like in 1 Corinthians 5:6 when leaven is equated with boasting and in Matthew 15:11 when Jesus tells His disciples to watch out for the leaven of the pharisees, which is hypocrisy. Like most crackers, the large sheet of dough is scored to make it easier to break, and has holes poked in it to keep hollow pockets from forming. Several people have suggested that the piercing and striping show us Jesus as described in Isaiah 53. 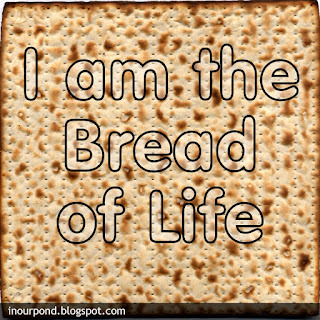 Jesus tells us as His last Passover that the unleavened bread is His body, given for us. 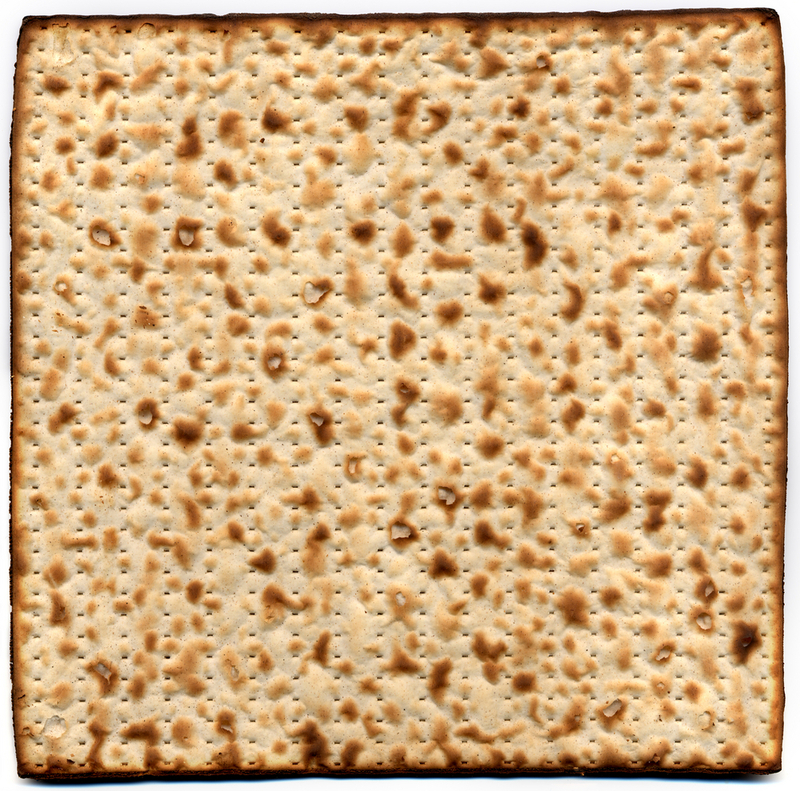 During the Passover celebration, a parable is acted out with the matzo (ma-TZOH) crackers. At one part, three crackers are put in a stack. People disagree about who the three crackers represent. Some say they are Abraham, Isaac, and Jacob. Others say they have always represented God, a mediating priest, and the people. The middle matzo, Isaac or the priest, is removed from the pile, broken in half, wrapped in a white shroud, and buried. Then, the leader of the celebration hides the broken matzo and tells the children to go find it. 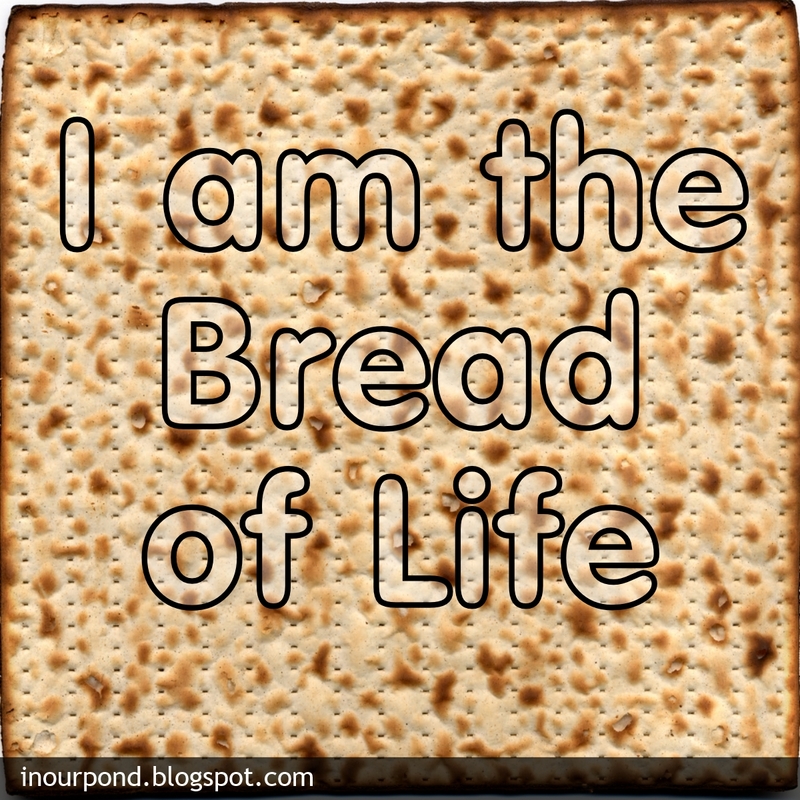 A lot of Messianic Jews think that it was this piece of resurrected matzo that Jesus said represented His body. I haven't found any information about how old this part of Passover is, since it doesn't appear in the Bible. Several orthodox Jewish websites stress the importance of doing this parable as part of the service, but they don't give any indication as to why. It's just one more mystery to add to my confusion about the Passover traditions. The more a Christian looks at the Last Supper, the more one questions one has, especially about the exact way the Passover happened at Jesus' last supper. The dinner is buried in 2,000 years of church history. Most of us think of Leonardo Di Vinci's painting when we are asked to imagine the Last Supper. In that painting, everyone is sitting at the table on chairs, eating leavened bread. The more accurate painting should show men reclining and eating matzo (ma-TZOH). 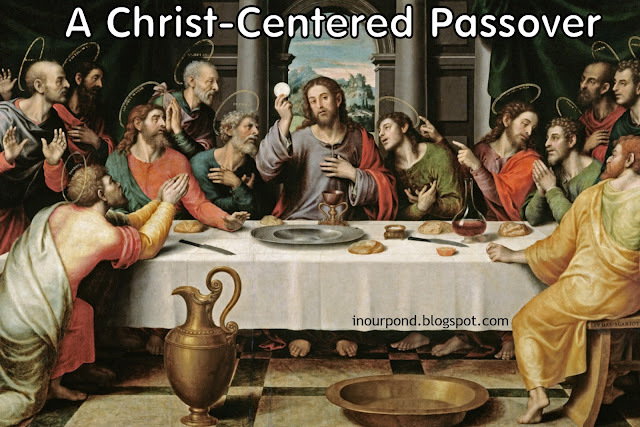 As evidence to how far the church has gone away from the Passover, I couldn't find any pictures of the Last Supper on the internet that depicted Jesus eating unleavened bread. Still, some of our problems with the Last Supper are based in the different tellings of the event in the Gospels. It would be a lot easier to understand the order of things if we had a step-by-step description from them. It's kind of frustrating, but then I remember that the Bible includes everything God thinks is important. If the Bible doesn't include a running commentary on the event, then God must not want us to worry about it. It was a Passover Seder (SAY-der). Jesus told His disciples that He desired to celebrate the Passover with them (Luke 22:15), but that they wouldn't understand everything until later (John 13:7). Because it was Passover, we know that they had lamb, unleavened bread, and bitter herbs, all of which are specifically prescribed in Scripture. All twelve of the disciples and Jesus were present. Some time during the night, Jesus took a piece of matzo (ma-TZOH) and dipped it in something and handed it to Judas. Something in that act tipped Judas off that Jesus knew the intentions of his heart. They say a hymn at the end of their time together and left. When did Jesus wash His disciples feet? An orthodox Seder has two different washing times, one before dipping the parsley in salt water, which is a unique washing just for Passover. And, one before eating the meal, which is the common, rabbinical washing for every day (it was probably this washing that the Pharisees had a fit about in Matthew 15). It could have been at either of those times that Jesus washed His disciples feet. What did Jesus dip the matzo in when He handed it to Judas? 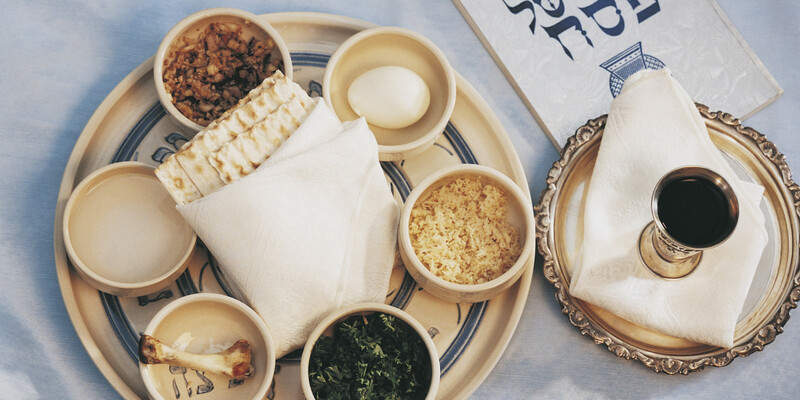 There are two different things that the unleavened bread is dipped in during the Seder: bitter herbs and haroset (kha-RO-set). The haroset is sweet to remind us that even in slavery, life, for the Israelites, was sweet with the hope of freedom. In contrast, the bitter herbs, or maror (ma-ROAR), brings tears to our eyes and reminds us of the bitterness of sin. Also, while maror is mentioned in Exodus as a prescribed part of Passover, the haroset has not Biblical history and may not have even been a part of Jesus' Passover. Of the two, the most likely substance for Jesus to have dipped into was the bitter herbs. Normally, everyone dips their own piece of matzo into the herbs, so Jesus handing His to Judas would have been unusual. It may have been the strangeness of Jesus' actions or what the bitter herbs represented that tipped Judas off. Either way, nothing is lost by not knowing which substance Jesus dipped. Did Jesus celebrate His Last Passover with the four cups or wine, labeled “release,” “freedom,” “redemption,” and “covenant?” If they were part of His Passover, which of those cups did He say was “a new covenant in His blood?” Theoretically, it could have been any of them, but most Messianic Jews believe it was the “redemption” cup. The fourth cup, “covenant,” looks forward to the time when Jesus will come back for His Church. It is of this cup that Jesus may have said, “I will not drink this cup again until I drink it anew in My Father's house.”10 Another question arises over whether Jesus actually drank the “covenant” cup. Many Messianic Jews think that He didn't and won't drink it until the Wedding Feast of the Lamb. Or, maybe Jesus drank it in covenant with His disciples and then said that He wouldn't drink it again until later? No one knows the true answer, because the Gospel writers didn't tell us. When it comes to Jesus' last Passover, there are a lot of gaps in our knowledge. Yet, as I mentioned before, the Bible contains everything we need to know for life and salvation. We must not need to know exactly what that meal looked like. 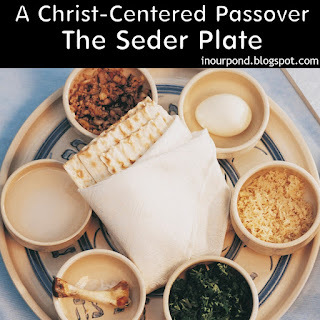 Instead, by making some educated guesses, it is possible to have a Seder that beautifully blends ancient celebration, Jewish tradition, and our Christian beliefs. 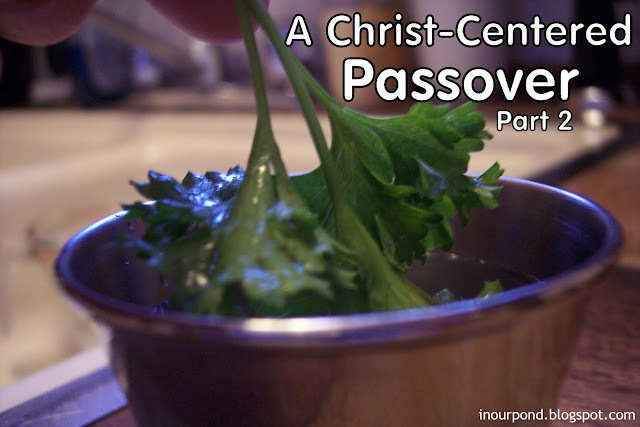 As Christians, then, where do we stand in regards to Passover? Is it an ancient custom that has no part of our modern lives? Or, are we disobeying God by not having one? Once again, Christians disagree on this point from all sides, and most would even disagree among themselves about the application for some of these verses. But, here they are, anyways. God commanded in Exodus 12 that the Passover would be celebrated “as a feast day to the Lord, throughout your generations, as a statute forever, you shall keep it as a feast (Exodus 12:14).” Does forever mean forever and ever? God is the same yesterday, today, and forever (Hebrews 13:8), so because God doesn't change, neither do His commands. Believing Gentiles have been grafted in to the true olive tree, Israel, so Gentiles should do as Jews do (Romans 11). the feast days, new moons, and Sabbaths, are just a shadow of the reality in Christ (Colossians 2:16). Without being a fence-rider, I think both positions have valid arguments. It is true that we live under a new covenant, different than the one Jews are under, but Jesus celebrated Passover. In my opinion, He took what is a controversial subject and told us where it fits into Christian life. In other words, He gave the old Passover new meaning. There are a lot of wonderful parables in the Passover celebration to enrich our Christian lives. At the same time, I don't want to judge anyone based on whether they attend the feasts. Paul told us that such observations are not important for our salvation. I have my Passover Seder whenever it it convenient for the congregation, usually about two weeks before Easter. I pray that God will continue to open your eyes to the beauty and wonder of a Messianic Passover. 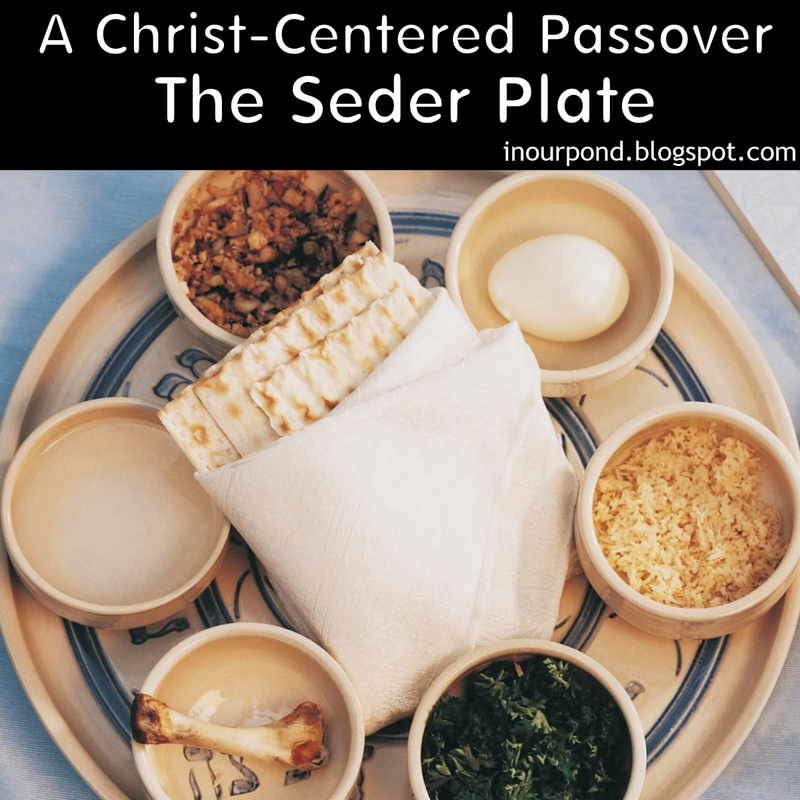 Jews set their Passover tables with the centerpiece being a special platter, called a Seder plate. The six elements that form the Star of David on the plate are the Zeroa (ze-ro-AH), matzo (ma-TZOH), karpas (kar-PAS), baytzah (bay-TZAH), maror (ma-ROAR), and haroset (kha-RO-set). They can be placed in any order on the plate. Zeroa (ze-ro-AH): the roasted lamb shank. You can either ask the butcher just for the bone or use a bone from another animal, like a cow. Matzo (ma-TZOH): unleavened bread. Either pick them up in the ethnic section of the grocery store in the weeks before Passover or make your own. You may want to call ahead to a few stores to make sure that they stock them. Karpas (kar-PAS): parsley or romaine lettuce. Also put a little container of salt water on your Seder plate for dipping the herbs into as part of the service. The herbs remind us of the hysopp used to put blood of the door frames of the Israelite houses and the salt reminds us of tears. Baytzah (bay-TZAH): roasted egg, symbolizing sacrifice. Hard boil an egg, peel it, then roast it in the oven until the outside is brown and dry. Another alternative to the roasted eggs is some seeds, which would also represent life coming from death. Maror (ma-ROAR): bitter herbs, usually horseradish. Buy the creamy kind from the store or grind your own. Jewish tradition says that the husband is supposed to grate the horseradish until he cries to insure that the husband cries at least once during the year- since women cry so much. Haroset (kha-RO-set): fruit and nut mixture. Can be mixed up a day in advance and is supposed to look like mud (recipe at the end of the book). 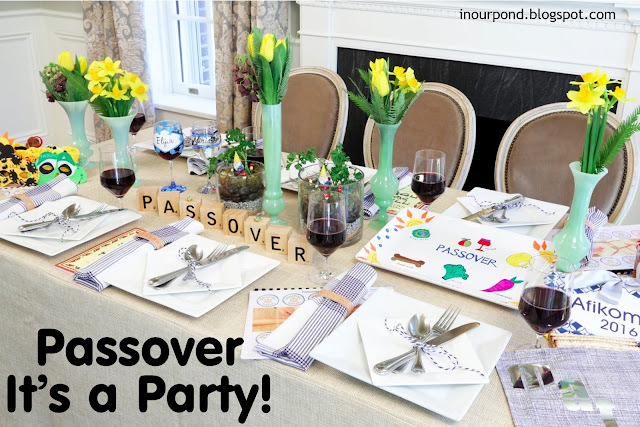 Like any party, the first step in planning your Passover Seder is to figure out how big of a party you want to throw. Just your family? Your family plus a few? Your family plus twenty? Doing a Passover just for your family has the advantage of simplicity. You can make mistakes and no one outside your family will know about them. However, it's just as easy to buy things for a family of four as it is for a church of twenty. Of course, a bigger group also takes more planning, but you may be able to make a church project out of it. I've been very blessed to have the women of my church help me greatly in the organization of the Passovers I've hosted. Those women have cooked for the dinners, even modifying the recipes to suit particular diet situations within the church. If you plan on including more than just your family, plan on doing a potluck for the actual meal part of the Seder. With enough women involved, you might not even have to cook anything extra. So, first in the planning of a Passover, decide on what size party you want to host. Next, decide on when you want to host your party. I've decided that having Passover right after church is too stressful on me. There are so many things to be done the morning of the party that I couldn't find enough time to do everything. Instead, pick an evening that will give you a lot of time, like a Saturday or Sunday. Also, pick a time that is most convenient for you. I recommend starting about an hour to an hour and a half before you want to serve dinner. Hungry children (and adults) will be less than patient with the program, so provide lots of veggies to snack on and start early. Passover is about remembering and relaxing, so make sure that you're not so stressed out that you can't do those things. Decide on a time that works best for you. Thirdly, decide whether you want to send out invitations. The invitations can be as simple as an e-mail or as elaborate as a card. I have found that a simple “You're Invited” type of postcard helps my guests remember the date and plan for it better. Addressing invitations is a great way to get your children involved. If your party just includes your family and a few more people, then an invitation might not be necessary. Once again, make your decision based on what works best for your family. 1. These two candles are a special Jewish tradition. They light them at the beginning of each Sabbath and holy day. With the first candle, we remember the acts that God has done for us; and, how He set us apart as His people, with the second candle. Their presence signifies God's presence in our lives and at this Seder; therefore, we allow them to burn themselves out instead of blowing them out. The woman of the house says this special prayer as she lights them. Who sent the Light into the world that we may know Him. And who commands us to be light in His world. And in His name we kindle the Passover lights. Amen. 2. Twice during the Seder, once just before dinner and once at the end of the night, it is traditional to sing hymns. Pick out a few of your favorite praise choruses or flip through a hymn book for songs about Jesus' sacrifice. I have included some of our favorites in the back of the book, including a few traditional Jewish songs. At the Seders I host, we sing “O Come, O Come, Immanuel” to remind us to pray for the Jews who still haven't found their Messiah. Unfortunately, it's hard to find songs specifically about Passover from a Christian perspective. Perhaps the Passover experience will prompt you to write your own songs. 3. In my opinion, one of the best parts of Passover is that it is a meal, not just a service. About two-thirds of the way through the service, there is a break for dinner. Depending on how many people you have for Passover, you might want to make it a potluck. You can choose to make your meal kosher (following Jewish dietary laws) and use traditional Passover recipes. A quick internet search should give you several options. Or, you can chose to make recipes that you already love, like Grandma's apple pie or Mom's mac and cheese. Just like Christmas is often a time of both traditional foods and experimentation with new recipes, so also your Passover will begin to form it's own identity in your family. Time to look specifically at the Haggadah (ha-ga-DAH) now, which is also the Passover script to be read during your Seder. Next week, I'll post a sample Passover script. I hope you've been enjoying this series and are getting excited for your own celebration!